ACDSee Pro 6 has everything you need to perfect your images, fast. Carry out digital asset management and all the essential tasks of your photography workflow, from import to final presentation, in one complete solution. Add in a powerful RAW processing engine, improved color management, and more non-destructive processing tools - all running in a native 64-bit application - and you’ll quickly see the difference in your images. Achieve stunning results, stay organized, save time. 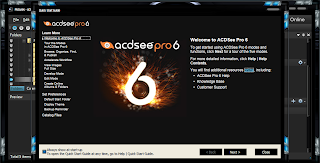 ACDSee Pro 6 gives you total photography control. Hit the ground running - Why spend time importing your photos to a separate library when they're already on your system? 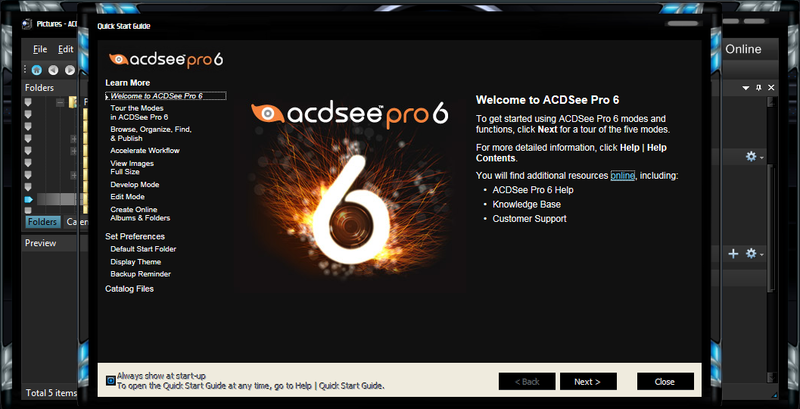 When you start ACDSee Pro 6, you're connected directly to the folders on your computer, so you can browse and work on your files right away. Streamlined digital asset management - Put the flow in your workflow. Organize your photos as you import them from your camera or storage device. Catalog files for improved speed and performance. Customize your workspace to suit your individual style, and access external editors with seamless simplicity. Good things come in batches - Perform a range of workflow steps on batches of images at once. Convert formats and color space, resize and change filenames, and easily save them as presets to work even faster the next go around. 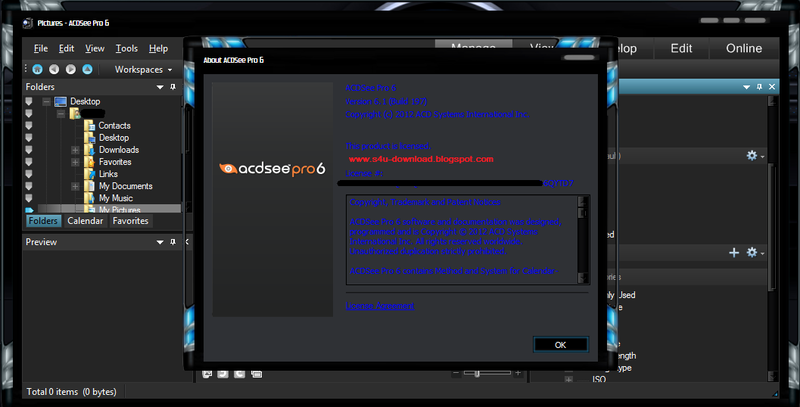 Manage metadata - Organize your entire collection with ACDSee Pro 6's full support for EXIF, IPTC and XMP metadata. Set and edit information about your photos in accordance with IPTC Core 1.1 industry standards. Save time by modifying metadata for groups of photos at once, and creating presets for ongoing use. Want to keep your proprietary information private? You can also strip out details such as locations, camera settings, and equipment choices. Find any image - Never lose track of another photo. Tap into an array of powerful search tools to quickly retrieve any image in your collection. Find images based on metadata, file properties, date, event, keyword, rating, color label and GPS location. Build and save detailed searches. Filter, group and sort your results to quickly find that one photo you really need. Stay organized - Add ratings, hierarchical keywords, categories, and location data to your images for the ultimate in digital asset management. Quickly identify photos for further processing with one-click visual tagging or by assigning customizable color labels. You can associate a particular color with each step in your personal workflow, so you can visually assess what stage your images are at. 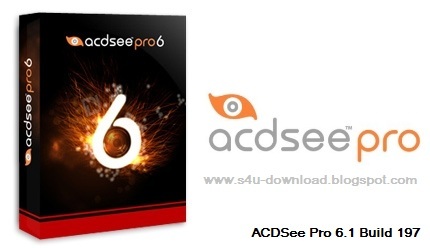 Fast, flexible viewing - Put your photos front and center with ACDSee Pro 6's legendary viewing speed. Fill your screen with a single image, or examine the finest details at pixel level. You can count on ACDSee Pro to display your photos, from JPEG to RAW, exactly the way you want, fast. And you’ll be viewing your images in real time, from their original locations. Examine details - Get up close and personal with your photos. Hone in with Zoom, Navigator, Magnifying Glass, and Histogram tools, and see your images at full resolution with a single click. Sort on the go - Accelerate your workflow by organizing images as you review them. Mark photos for further processing with one-click visual tagging, or assign workflow steps with customizable color labels. Categorize, add ratings and hierarchical keywords, and edit metadata, all on the fly. Stay focused as you scan - Flip quickly between images. With the handy filmstrip window, you always know exactly where you are within a large group of files. 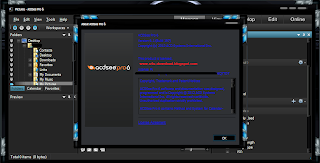 Make your best even better - ACDSee Pro's Develop mode is your non-destructive workshop where you can process your RAW images and apply adjustments to your JPEGs, TIFFs and other files. Preview your changes instantly, hide or reveal adjustments, and revert to your original images at any time. With the flexibility and power of ACDSee Pro's development tools, you’ll bring out the best in your photos, quickly and safely, time and time again. Non-destructive adjustment brush - Make non-destructive adjustments to select areas of your images using a versatile brush to precisely get the look you want. Subtly or dramatically correct exposure, add clarity, boost vibrance and more. See it in the RAW - See incredibly accurate default color, contrast and exposure right from the start of your RAW processing workflow. A wide RGB color gamut preserves your camera's vibrant colors for true-to-life representation. With improved color management control, you can be confident that what you're previewing accurately reflects the desired color and tone of your RAW conversion. Tune your images - Get the correct white balance, color, exposure and tonal distribution for your RAW images in Develop mode. Add vibrance while protecting skin tones, and adjust saturation, brightness and hue on a color-by-color basis. Fine tune tonal distribution with the combined Tone Curves and Levels tool. Avoid color clipping during RAW conversion by leveraging your image's histogram. Get it just right - Non-destructively reduce red eye, adjust geometry, and fix perspective, distortion and lens vignetting with full control over pixel size and resolution. Reduce noise - Rescue your high ISO images with ACDSee's improved noise reduction technology to get smoother and more natural results. Control different aspects of noise with the luminance and color sliders, for noticeably better images. Smarter sharpening - Gain even more control over the sharpening process. The new Detail slider allows you to feather or soften sharpening halos, while the edge detection mask slider lets you focus the sharpening effect more to edges and textures without amplifying any pre-existing noise in areas with little detail. Create stunning HDR images - Get amazing single-exposure HDR results from your RAW images using the Lighting tool, powered by ACDSee’s patented LCE (Lighting and Contrast Enhancement) technology. This tool accurately and intelligently stretches the dynamic range of your photos, so you can make them incredibly realistic or atmospheric. Highlight your creativity - Gain complete control over the balance of tones in the shadows and highlights of a given scene with Split Toning. Add a tinted color to highlights and another to shadows to create a dramatic toning effect. Better black and white - Take your monochrome images to a whole new level of creativity with the dedicated black and white mode. Make high-quality non-destructive adjustments and experiment with saturation-based tinting that allows you to add a specific hue back to a black and white image. Once your global non-destructive adjustments have been completed, add finishing touches at the pixel level to create brilliant images. Dodge and burn, remove flaws, and add watermarks, text, shapes and vignettes with ease. Experiment with peace of mind, knowing you can revert to your developed photo or your original image at any time. Brush on edits - Quickly brush on any editing or special effect to a specific area of your photo, complete with size and feathering controls, to get precisely the look you want, in the least amount of time. Blur the background, turn an object black and white, or add an Oil Paint or Stained Glass effect to a single face. Combine your edits with different blend modes for the ultimate in control and creativity. Dodge and Burn - Target shadows, midtones or highlights for lightening or darkening with the Dodge and Burn tool, or selectively add vibrance, saturate or desaturate areas of interest. Edit in batches - For the ultimate in express editing, you can simultaneously apply edits to multiple photos with Batch Edit. Rotate, crop, resize, add watermarks, and more. Plus, you can save your edit settings as a preset for ongoing use. Eliminate flaws - Magically erase flaws, blemishes and other unwanted objects with the Photo Repair tool’s powerful Heal and Clone options. Draw some attention - Add lines and shapes such as squares, circles and arrows to highlight certain elements in your image. You can also adjust the width, feathering and blending of your brush to create subtle or dramatic drawing effects. The Text Overlay tool adds to the creative and practical possibilities. Stake your claim - Claim ownership of your work by adding watermarks to all your images at once with Batch Edit, or digitally sign your images with the Add Text tool. Unleash your creativity - Instantly preview, apply and fine-tune a special effect to your photos. Choose from more than 45 different effects, including the edgy, retro Lomo, the ethereal Orton, and the creative Collage. - Microsoft® Windows® XP with Service Pack 3, Windows Vista® or Windows® 7, or Windows® 8 (64 bit) operating system.